During the last weeks I was facing a strange black screen problem in a XenDesktop 7.6 environment. A rollout for a new division was planned. An image was created and deployed with MCS. One user was chosen to test if everything is working. During the first few days everything was working fine. But after a few days the user always saw a black screen after logging in – nothing more. Interestingly this only happened when he arrived in the morning. Though after successfully logging in it was possible to logout and login again (to another VM) without any problems. When we tried to reproduce it this was nearly impossible – only sometimes the same problem was happening with our test user. But also this only happened at the first login in the morning. 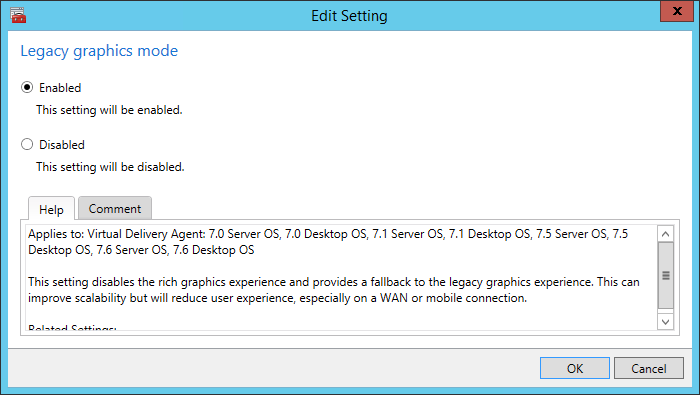 First we activated the Legacy graphics mode and assigned it to the affected VMs. 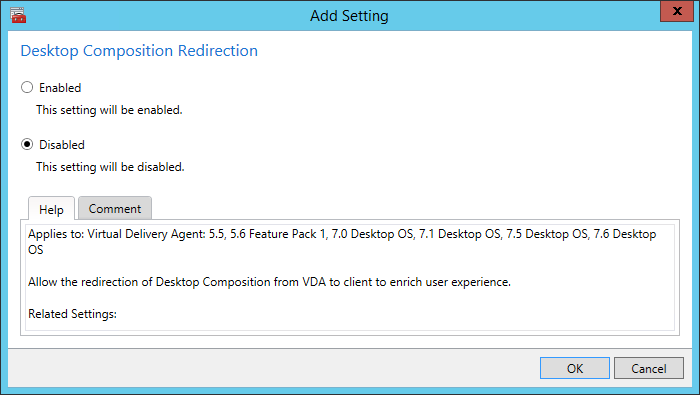 Then we disabled the Desktop Composition Redirection. Still the black screen occurred. So we changed the Receiver Version (a Thin Client with Linux was used) from 12 to 13 – but it was still the same. So we decided to test it with a Windows Client and Receiver 4.2. But as you expect – still the same. So it was time for a more intensive debugging. As you can see in the following screenshots the value always contained the full before path. The next step was to modify some Graphics Drivers Registry settings. We renamed the following keys to .old and restarted the VMs. After the reboot the keys had been recreated – with different sub keys. 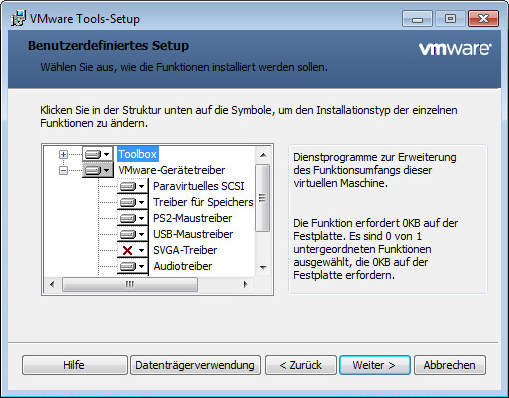 After trying all of these settings I remembered a case where I had the same problem with XenDesktop 5.x – the solution was to remove the VMWare SVGA-Driver. So we now also removed the driver. 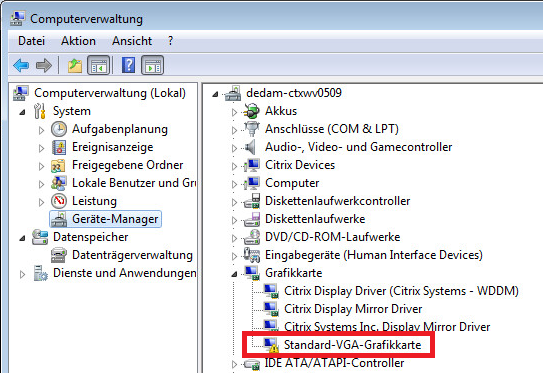 After removing the driver the Graphics-Card was shown as “Default-VGA-GraphicsCard” (with a Warning). And guess what? The black screen was gone. Furthermore we disabled Legacy Graphics Mode and enabled Desktop Composition Redirection – the black screen issue still didn’t happen any longer.